Want to live rent free in New Zealand’s North Island over Xmas? Live for over a month without paying any accommodation costs in beautiful warm Parua Bay House Sit Northland, NZ. This real good NZ House Sitting job in the North Island, is a great chance to explore the many walks and beaches in close proximity to Parua Bay. 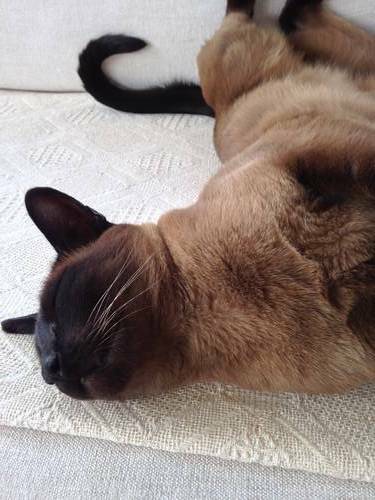 Pet Sit a beautiful Tonkinese cat called Gypsy. This is a great chance to save money by not paying for any accommodation costs for over a month! Flat Bush. The “mansion you could possibly be House Sitting in. 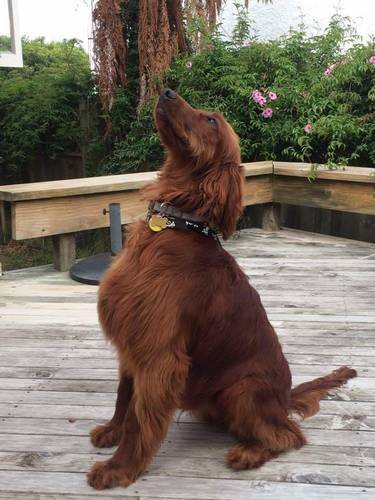 Irish Setter: Waitoa House Sit. 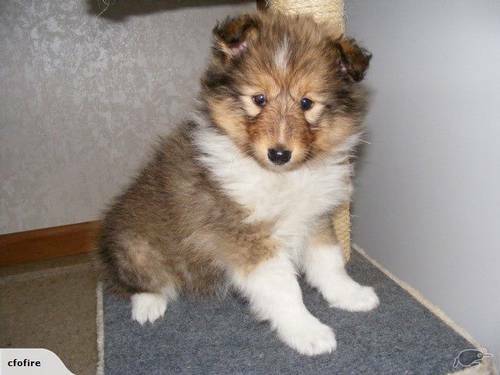 Shetland Sheep dog pup: Waitoa House Sit. Get three weeks in the country, without paying for any accommodation costs. This fabulous Waitoa House Sit is located near North Island’s Coromandel Peninsula and Hamilton Pet Sit two dogs; a gorgeous Irish Setter, and a Shetland Sheepdog pup. Also Pet Sitting two chooks, two baby goats, two cats, and a 14 year old thorough bred mare. This North Island, country House Sit job, has all the pets and animals to keep you occupied, and happy. This is another real good NZ House Sitting job, with a wonderful country experience to be had. Accommodation is free for a week over Xmas, in Whakatane in return for House Sitting duties. If you get this real good NZ House Sitting job in Whakatane you get to live in an absolutely gorgeous seaside town. The modern home you would be House Sitting has two great decks to relax on, and three living areas, along with all the “mod cons.” Dates on this Whakatane, North Island, House Sit, are negotiable. Pet Sitting a kitten, there would ample opportunities to explore the wonderful Bay of Plenty area, whilst staying for free. I highly recommend this area, as I have had some great trips up here. New Zealand has many real good House Sitting jobs in it’s North Island; these are only four of them. I suggest that you quickly get looking at the many North Island House Sits, as they will quickly disappear over the Xmas break here in NZ. I’ve picked out four real good NZ House Sitting jobs over the Xmas season, that you may be interested in. Two North Island House Sits, and two South Island House Sitting jobs. Would you like to be based on a farm near Tauranga, New Zealand, living for free for three weeks? This fun Tauranga House Sitting job on a Lifestyle Farm is a great way to have a special; New Zealand farm experience. You would be looking after cats, chickens, goats, pigs, and horses! A special way to enjoy a NZ farm experience for free! And it would be fun looking after these animals. Go on; apply to become a House Sitter now! Urgently wanted: someone to stay for free, for three weeks, House Sitting at Matawai. This is a farm and former quaint Hotel near Gisborne, NZ. A great chance for retired farmers, or for people with a little mechanical aptitude, and farm sense. 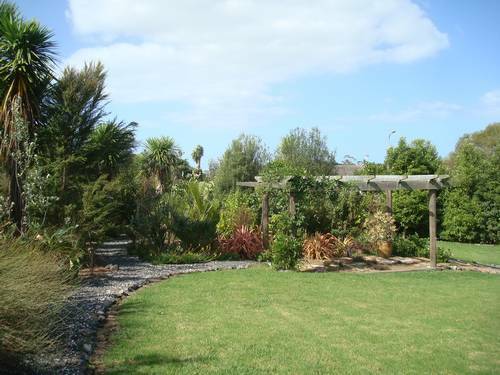 Enjoy three weeks of free accommodation on this House Sit near Gisborne, North Island, NZ. Peace, tranquillity, animals, time-out; heaven. Go for it, come on all would be farmers, and pet lovers! Perhaps you are yearning a long rest? Here is a longer House Sitting opportunity in Lyttleton, South Island, NZ. This House Sit goes for over a month, it’s another real good NZ House Sitting job, and a nice long rest. You can explore Banks Peninsula, and the very quaint town of Akaroa over Xmas. You will be Pet Sitting a lovely dog and a cat. Take the dog with you, exploring all the beaches and bays around Banks Peninsula. The cat at this House Sitting job, will probably just snooze at home. You will have plenty of time to check out the whole of Banks Peninsula, and what it has to offer. With these four more real good NZ House Sitting jobs, you can choose which of these you would like. They all provide you a chance for free Xmas accommodation in beautiful NZ. Search; cheap accommodation Sydney at Xmas; Sydney accommodation is VERY expensive, especially at Xmas! Now what if I put to you; enjoy FREE accommodation Sydney, Xmas? Would you think free accommodation Sydney, at XMAS was a scam? Honestly, this is 100% NO SCAM! Check out this exciting news from House Sitting Club.com: How to holiday virtually anywhere; rent free. You can just imagine this furry feline cuddled up to you. Toby, the Cocker Spaniel. Pets like these are so much fun to House Sit with. At House Sitting Club.com we’re happy to show you how you can live in Sydney accommodation for free! It’s so much fun too. You also can enjoy interacting with the pets you will be caring for. They can really make your House Sitting adventure so much more fun, than just an ordinary holiday. House Sitting is very safe too. (Good websites have minimal possibility of scams) House Sitting Club.com has no scams at all! Cheap accommodation Sydney cbd, is pretty scarce, at Xmas. Some very lucky House Sitters may get this Xmas Sydney House Sitting opportunity reasonably close to Sydney cbd. Another chance for Sydney accommodation Xmas time: House Sitting at Quakers Hill. The beautiful Samoyed/Retriever you would be House Sitting here, would make your Xmas so much fun. As you can see there are opportunities to live in Sydney for free at Xmas; pay no rent, at all. Check out this; Sydney accommodation Xmas time: House Sitting opportunities. Sydney fireworks New Years Eve celebration. See also this great website with heaps to see and do in Sydney along with prices. There’s just so much, and you can still fulfil your house Sitting obligations whilst doing many of the activities in and around Sydney. When you live in Sydney accommodation for free at Xmas, the money that you save by paying no rent, could be used for FUN, LOTS of FUN! You might just want to bank your unused Sydney accommodation dollars! How much could you potentially save by NOT paying Sydney accommodation costs at Xmas time? Check out this link on prices for Sydney hotels on New Years eve! Now, see what the average night cost’s before and after New Years eve. If you were to work out: how much the average cost of one nights Sydney accommodation is, multiply that number by however many nights you were to stay; you would see how much money you could potentially save! It’s a good deal isn’t it? For example: $300 night x 10 nights = $3000! Hopefully you now have the information you need, to live for free in Sydney at Xmas; pay no rent. Enjoy! House Sitting WILL save you money, BUT ALWAYS REMEMBER: you are there to House Sit. You are there to do a job, NEVER, EVER take that for-granted. Southland, New Zealand is the best House Sitting location in the world. Located at the lush green, southern end of New Zealand’s South Island, Southland is utterly stunning! See why Southland is truly the best House Sitting location in the world. People who visit Southland are spoilt for choice as Southland, has so much for the House Sitter to see and do. Your problem may be that you can’t do it all! Visiting Milford Sound, or fishing for Trout: there’s just so much to do! Many people just fall in love with the natural beauty of Southland, where it’s inhabitants, roll their rrrr’s. Ask a Southlander to say Gore, you will then hear their lovely southern dialect. Adult male Hookers Sea Lion approaching two females, at Southland’s Waipapa Point. As a House Sitter, you are there to do a job: looking after the home-owner’s homes and pets. Southland is a province, where you can drive to many differing beautiful scenic spots during a day. You can still be home for evening meal time, after a day outing, touring Southland. In many cases your House Sitting obligations can be still completed easily whilst having enjoyed a drive. A healthy Mataura river Brown Trout. The Mataura river in Southland has a prolific population of large Brown Trout, for the Angler to fish for. The Southland province is an outdoor sportsman’s dream location. There is so much of Southland, easily accessible for the outdoor sporting enthusiast. As a House Sitter new to the Southland region, friendly southern people will greet you and help you, should you need it. Discover the beauty of Milford Sound, or laze back in your chair whilst reading a book. 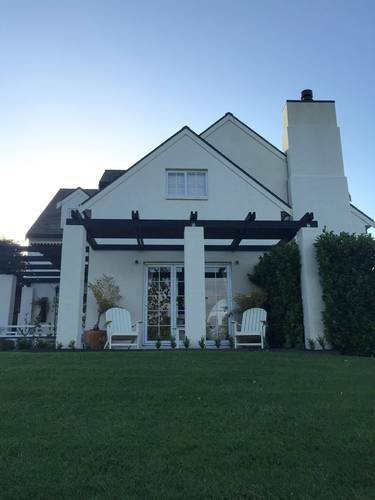 The choices are yours in Southland: the best House Sitting location in the world. Enjoy. You can be paid for House Sitting in New Zealand and Australia. A large factor in you getting paid House Sitting work, will be selling your pet and property care abilities. You can get the paid Australian or NZ, House Sitting job. Here’s how you can increase your chances! In your initial interview with the pet owner: you should always only talk about the pets and their care, before anything else. Never talk about where you will be going whilst Pet Sitting, as this, straight away, leaves a negative impression with the pet or animal owner. It’s about the pets and the property, remember? Relate your experiences with pets, and animals, building the home-owner and pet owner a very positive mental picture. Have a list of sitting house or sitting pet jobs you have done with you, with references. Show your confidence with animals, relating to the pets that may be there with the owner. You must always demonstrate confidence with all things, in looking after property and home, whilst House Sitting. Always be positive, and ask pet care or house care related questions. Normally this is enough to clinch you the paid New Zealand or Australian House Sitting job. Australians and New Zealanders are very easy people to converse with, and will size you up on your positive abilities and enthusiasm. By convincing straight away, you are there for the animal, the house and property care: this should be enough to win over the pet owner. Maybe you are applying from the computer with no chance of meeting the home-owner or pet owner in Australia or New Zealand? The same principles apply as above; keep the majority of your conversation about the pet (or animal’s)needs. This is telling the animal owner of the confidence you have, and your love of animals. No pet’s to look after on your House Sitting job in Australia, or NZ? Ask all questions about the care of the home and property. Show your interest, in doing the service for the property owner. Convince the property owner with your questions. Repeat House Sitting jobs from the same satisfied pet/animal owners. Your satisfaction of a great House Sitting adventure. Away to House Sit in Charleston, West Coast, South Island, NZ. The road trip getting to a House Sitting job, is always half the fun of the job! Am I mad? I turn money down, for House Sitting! Pet dies unexpectedly while Pet Sitting/House Sitting: so what do you do? Be prepared, for anything before sitting pet or sitting animals. If you are sitting pet for anyone, you really need to have a plan, for any eventuality. Make a note of these instructions, and keep them in the same place as you keep any instructions left from the pet owner. Carefully follow the instructions that the pet owner gave you. While you were sitting pet for the owner, you had their entire trust, in your ability to look after their pet or animals. The pet owner will have more faith in you, if their “in the event of pet death” instructions, they left you were followed. It is essential that you know, yourself, that you did everything right, whilst sitting pet for the owners. Good luck for sitting house for the owner, after the pet death. Author JeffPosted on May 30, 2016 May 31, 2016 Categories UncategorisedTags a pet dies while sitting pet, pet death, pet dies, pet dying, pet owner, sitting petLeave a comment on A Pet Dies while I’m House Sitting: What do I do? Become a House Sitter: enjoy rent free lifestyle change anywhere. Want to become an Australian House Sitter: then try joining this House Sitting website. I have suggested Aussie House Sitters website, as this is where I first joined for Australian House Sitting opportunities. I endorse Aussie House Sitters, as I find them an inexpensive, and user-friendly House Sitting website. There are other House Sitting websites, which you may find, and prefer. All I can say is: do your homework, on fees and conditions first! W.A is quite a distance to travel, but there are many Western Australia House Sitting opportunities listed. What a great excuse for a HUGE road trip! Australia has a vast land area, big population, and many pets: a House Sitters dream!